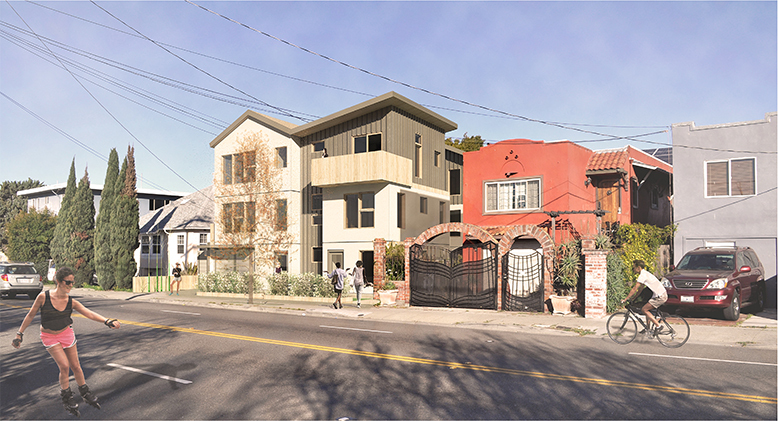 Ashby Townhomes is a new project located in southwest Berkeley in the R-3 Multiple Family Residential District, whose purpose is to encourage the development of fairly high density residential areas. This project of 6 well-designed townhomes, comprised of 2-,3- and 4-bedroom units, provides a variety of unit types for families and young professionals conveniently located in an urban setting. 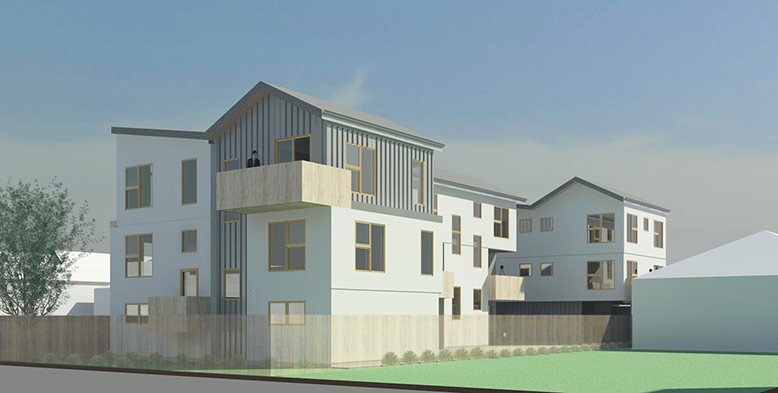 The proposed new homes are designed as 3 seperate duplexes arranged around a court, allowing light to filter through the property and to all sides of the units. A shared open space is provided at both the front and rear yards, and most units have private balconies. Each unit has an assigned parking space, 3 of which are covered, and 3 are uncovered. The driveway will be constructed with permeable paving, and is shielded from view by a decorative gate.